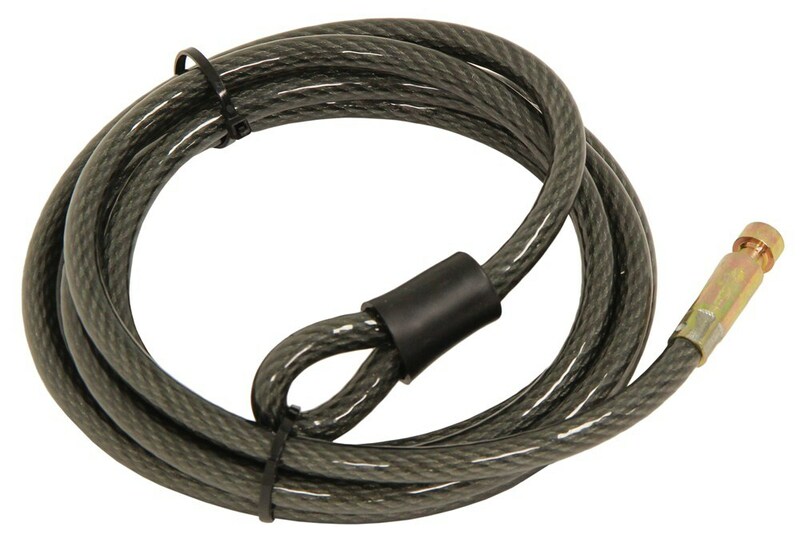 This 8' long, braided stainless steel cable lock helps secure your bikes to your bike rack or other stationary object. Vinyl coating prevents cable from scratching your bike and vehicle. Plastic cap keeps dust and moisture out of lock body. 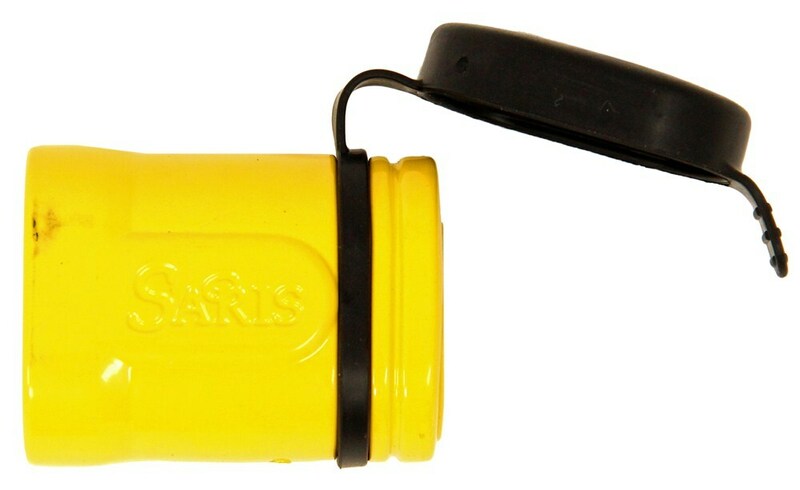 Call 800-298-8924 to order Saris bike locks part number SA981 or order online at etrailer.com. Free expert support on all Saris products. 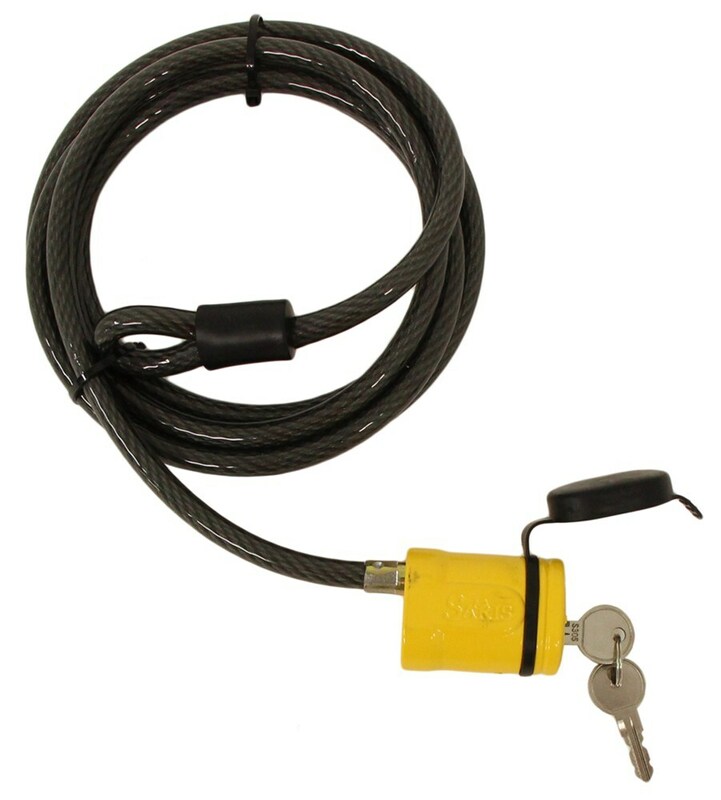 Guaranteed Lowest Price and Fastest Shipping for Saris Cable Lock - 8' Long. Bike Locks reviews from real customers. 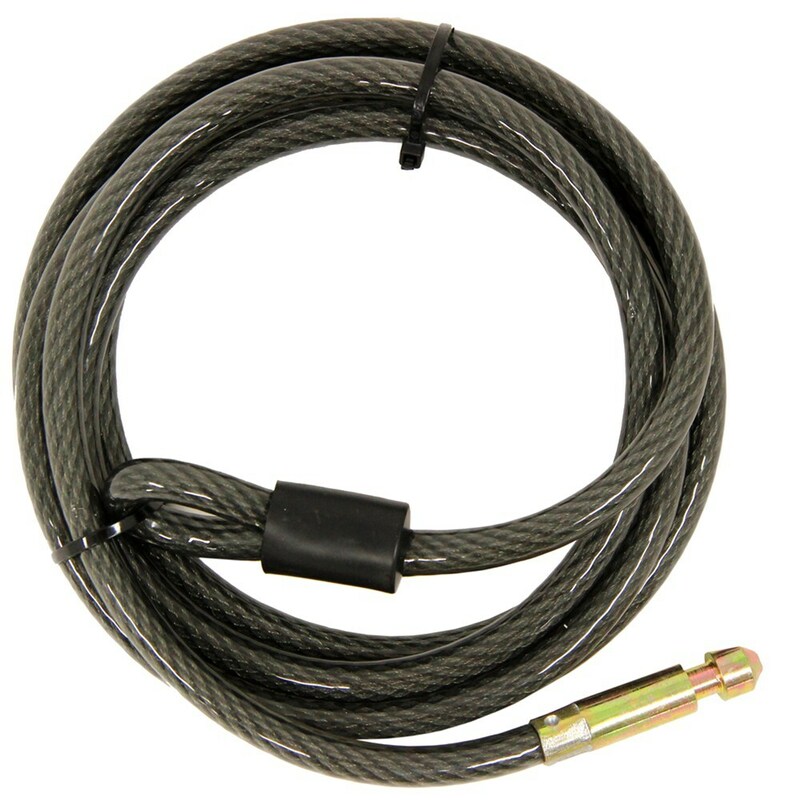 This 8' long, braided stainless steel cable lock helps secure your bikes to your bike rack or other stationary object. 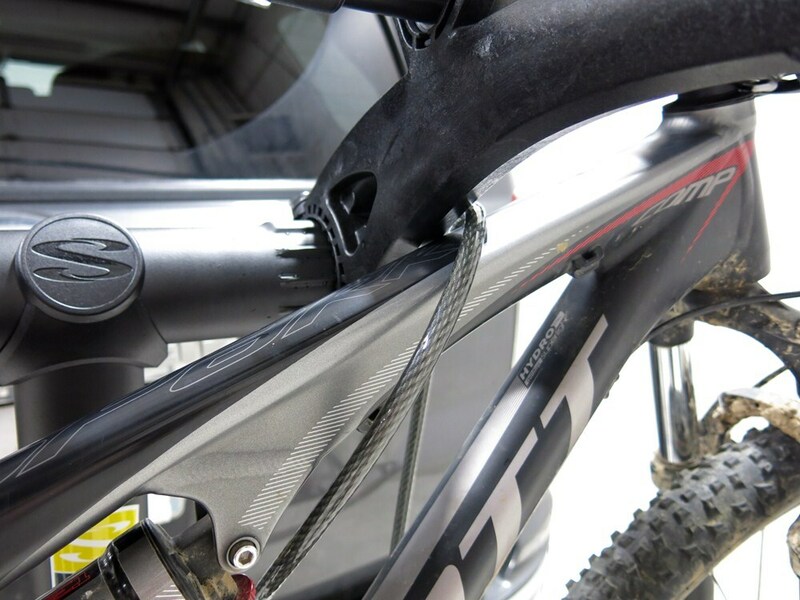 Vinyl coating prevents cable from scratching your bike and vehicle. Plastic cap keeps dust and moisture out of lock body. 8' Cable helps safeguard your gear against theft. Braided steel is flexible and cut resistant. 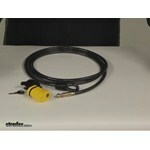 Vinyl coating protects cable against rust and your gear from damage. Simply loop one end through the other and secure with padlock (sold separately). 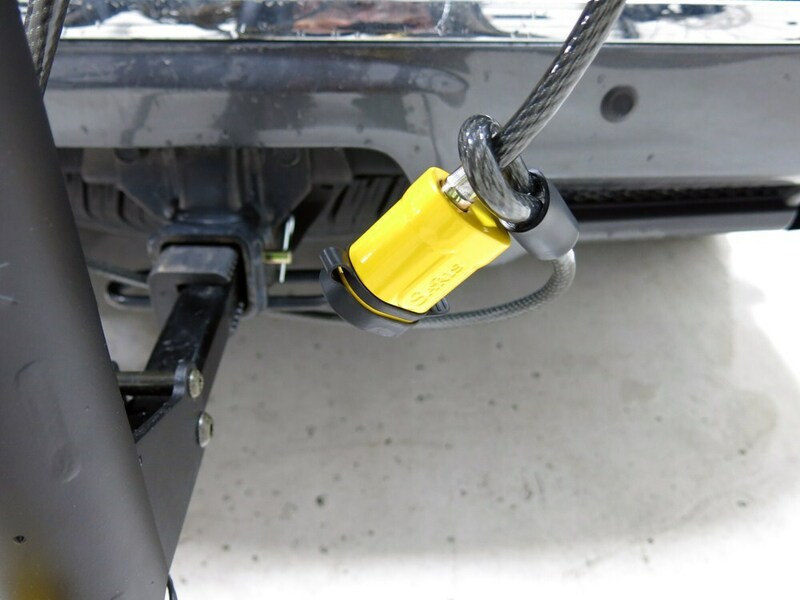 This keyed-alike cable lock and locking hitch pin combo provides peace of mind by securing your bikes to your bike rack and your bike rack to your vehicle. Pin fits 2" hitches. 2 Keys included. 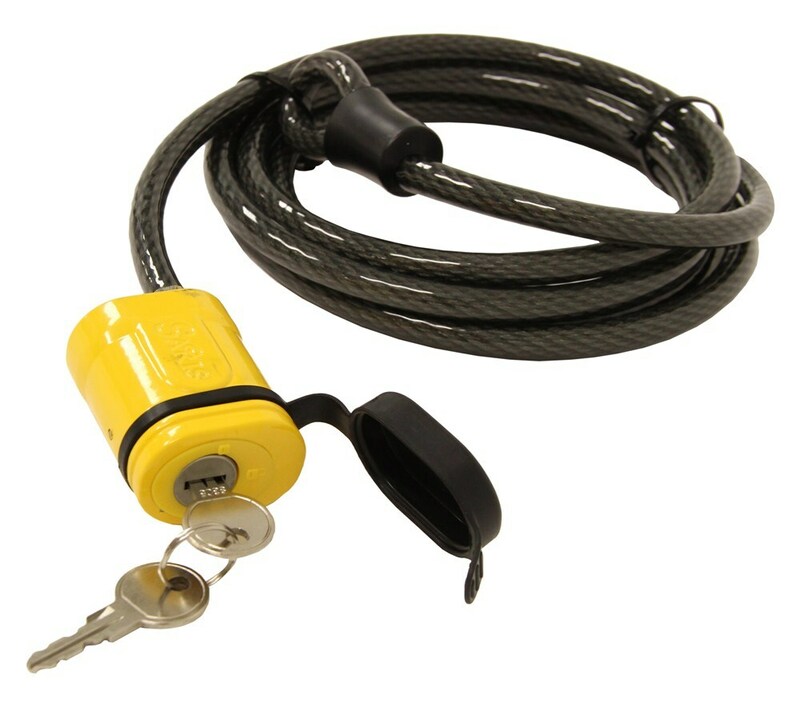 This keyed-alike hitch lock and cable lock secures your bikes to your bike rack and your bike rack to your hitch. 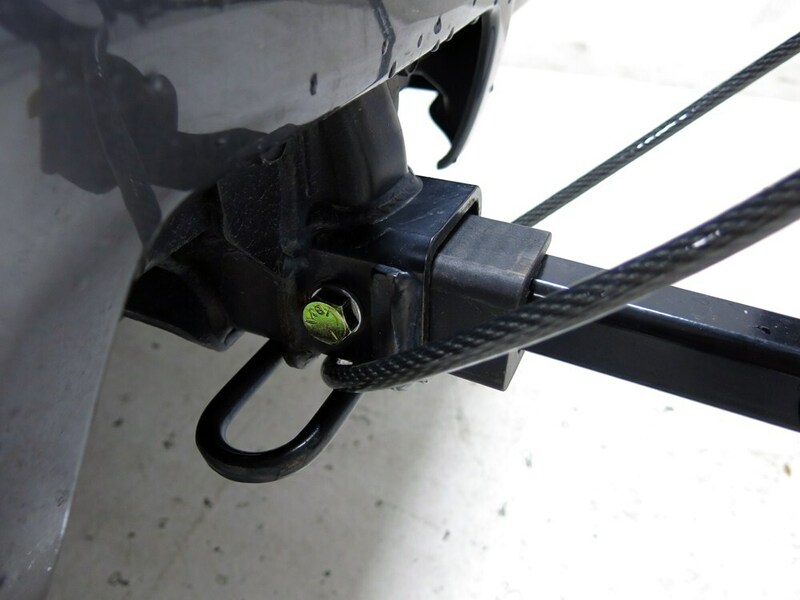 Anti-rattle hitch pin helps eliminate noise and movement of the rack in your hitch. Cable is vinyl coated to protect your bike paint. Today we'll be reviewing part number SA981, this is a Saris Cable Lock. 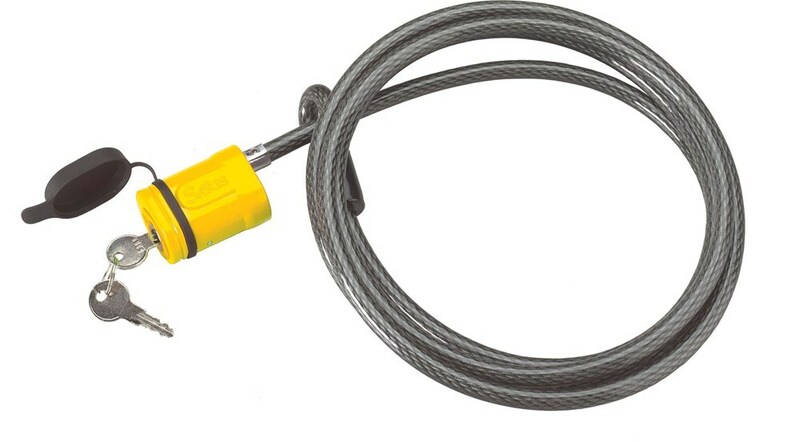 This cable lock is 8 foot long, and it will help make it easier to deter theft from your bikes. All you have to do is simply thread the vinyl coated stainless steel through your bikes and around your bike racks or stand, take it through loop, and then lock the body. You'll hear it click into place, remove the key, place over our dust and moist cover, and then walk away knowing that we have the peace of mind that our bikes are going to be secure. Now again this cable is 8 foot in length. It's made out of a 10 millimeter braided stainless steel construction. It's coated in a vinyl coating that going to help keep the cable from scratching your bikes or your vehicle. 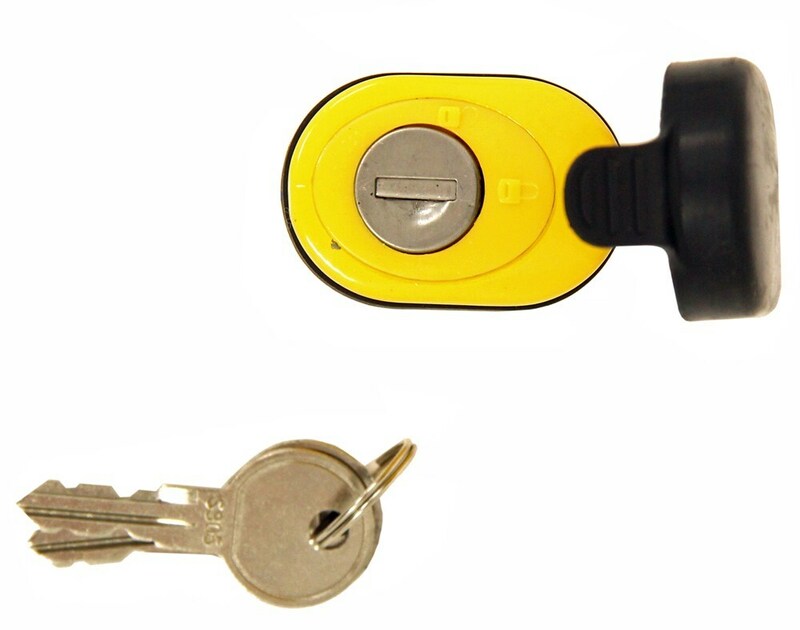 This plastic cap is going to help keep dust and moisture out of the lock body, and with this, 2 keys are included. 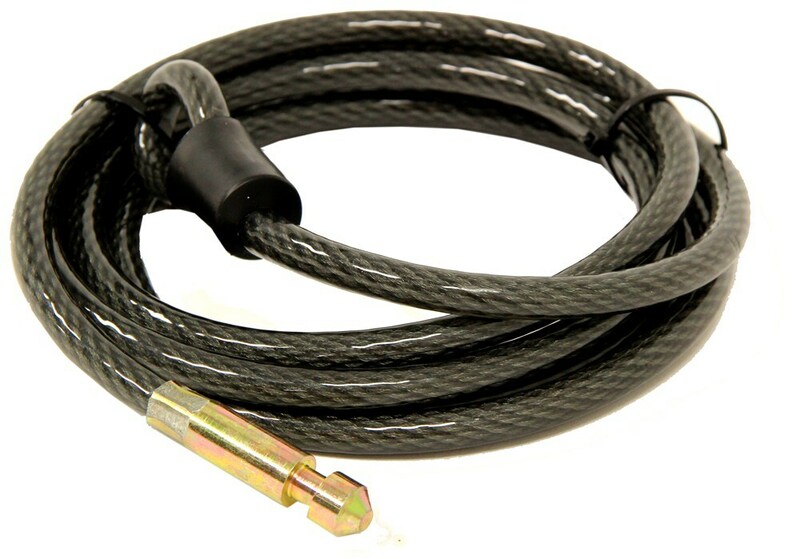 That will complete today's review of part number SA981; the Saris Cable Lock that's 8 foot long. .
Order: RelevanceNewestRating - High to LowRating - Low to High This 8' long, braided stainless steel cable lock helps secure your bikes to your bike rack or other stationary object. 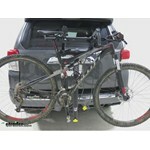 Vinyl coating prevents cable from scratching your bike and vehicle. Plastic cap keeps dust and moisture out of lock body. fantastic, Glad I chose this cable lock . , I use it around salt water, so just to be safe I spray a little corrosion X in the lock every now and then just for preventative maintenance . Do you have a question about this Bike Lock? To lock the Saris bike rack # SA883 to the trailer hitch you can add lock # SA3022. And to secure the bikes you can add cable lock # SA981. These items are not included with the bike rack and are sold separately. I have linked videos for both of them for you. 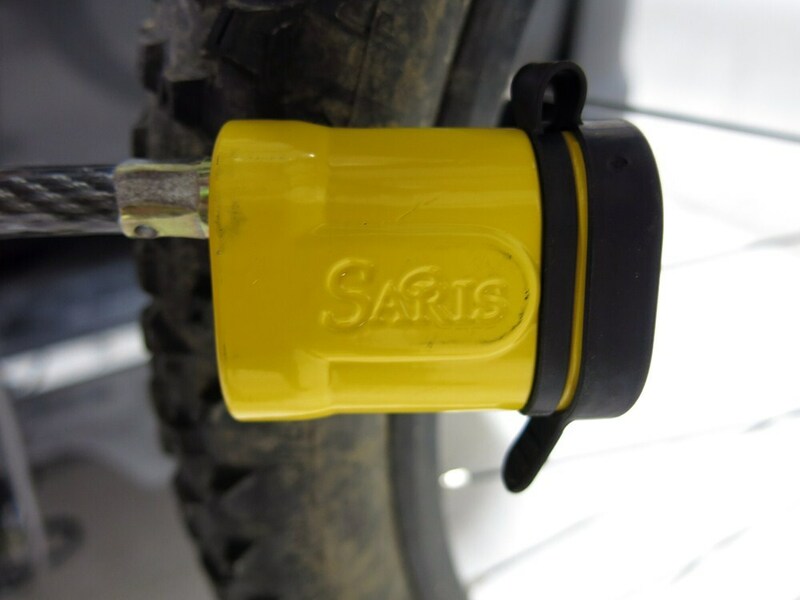 Pro Series doesn't offer a locking hitch pin for the Q-Slot bike rack, however we've found that the Saris # SA3022 Hitch Tite Threaded Anti-Rattle lock will work. A cable lock like part # SA981 would help secure the bikes to the rack. 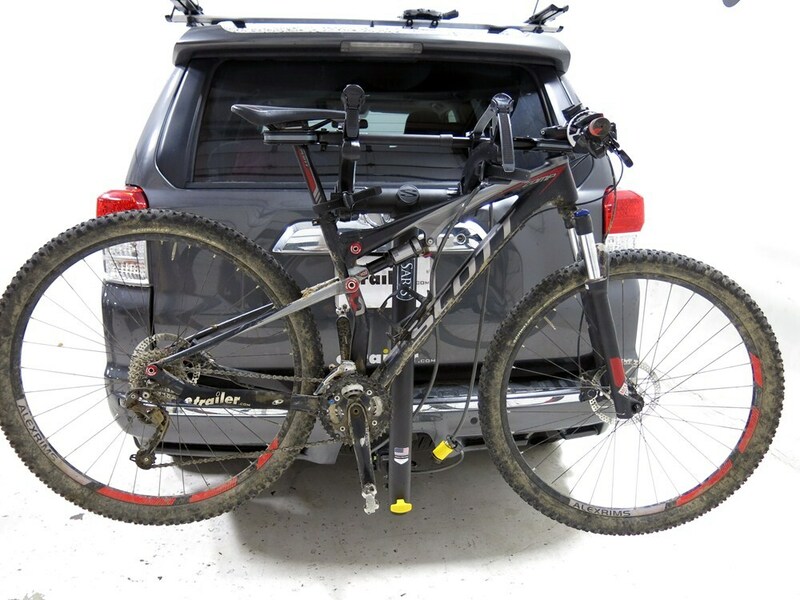 For your 2012 Toyota RAV4, you would need the Saris rack # SA999TB because the # SA999TB-996B includes additional mounting plates that are not needed to fit your RAV4. I have included a link to the installation instructions for you. You can also add the cable lock, # SA981, to secure the bikes and rack to each other and the tire. Because the Saris Thelma uses a threaded hitch pin, the Master Lock Receiver Lock with Integrated Cable, part # 1470DAT will not work. The good news is that we do offer a locking hitch pin specifically designed for Saris bike racks, part # SA3022. There's also a Saris cable lock available as part # SA981. Yes, though they do not make a hitch lock specifically for the Reese Q-Slot Platform-Style part # PS63138 we have had numerous customer use the Hitch Tite Anti-Rattle Hitch Lock part # SA3022. If you are also interested in locking the bikes to the rack you can use the Saris Cable Lock part # SA981. Highest quality bike locks for the best price. Most detailed, accurate bike lock information available.